It was this statement, which Trump made in the midst of the largely unproductive Nuclear Summit in Washington, that spun up the criticism. But was Trump so far off the mark? My late colleague, Undersecretary of Defense Fred Ikle, told the US China Economic and Security Commission in July, 2003 that Korean unification would immediately create a unitary nuclear power on the Korean peninsula because North Korea already has nuclear weapons. It is well known that North and South Korea have been secretly discussing unification for many years. About the only worthwhile incentive North Korea has, other than cheap labor, is nuclear weapons. Japan, for its part, can become a nuclear power in a matter of a few months at most. Just as Sweden has successfully hidden its nuclear weapons program from public view, so too has Japan. Its vast supply of plutonium and its far advanced space program means that Japan has the capability to offset pressure from China and North Korea with its own nuclear weapons and delivery systems. The only issue is when and where for Japan to reveal it has them. Indeed Japan has long been a nuclear power. It has been thus since World War II. In my new book, Technology Security and National Power: Winners and Losers I explain some of Japan’s history on nuclear weapons. It is a history that was misrepresented by American-imposed censorship at the end of World War II. And, because Japan was a victim of two atomic bombs (Hiroshima and Nagasaki), Japan’s public to this day is deeply opposed to nuclear weapons and to the politics that underlays them, namely Japanese militarism. The “official” explanation of Japan’s atomic weapons program during World War II is that Japan’s attempt to build atomic weapons was both small scale and a failure. But nothing can be further from the truth. Japan had two atomic weapons programs underway during the war. One, headed by the Army, known as the NI project, was based primarily in Tokyo at the RIKEN (Rikagaku Kenkyūsho) Institute for Physical and Chemical Research.. RIKEN is Japan’s largest comprehensive research institution. 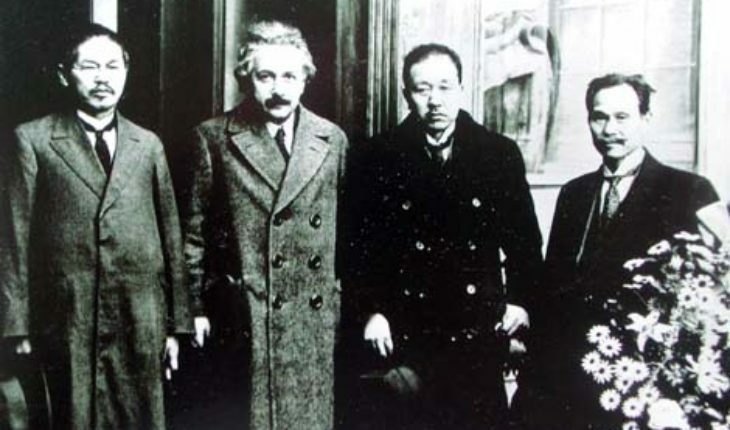 Founded in 1917 RIKEN attracted important scientists such as Albert Einstein. Its leading experts were linked to US universities such as Princeton and the California Institute of Technology, and to leading centers in Germany, Denmark, Sweden, France and the United Kingdom. RIKEN was deeply involved in refining uranium. Its cyclotrons were similar to the Calutrons at the Oak Ridge’s S-20 plant and a Nazi cyclotron plant in Heidelberg built by Walther Bothe and Wolfgang Gentner which became operational in 1943. Five Japanese cyclotrons were recovered at the end of World War II, broken up, and dumped into Tokyo harbor by a special unit of the US Army known as ALSOS (ALSOS means “grove” in Greek and the head of the Manhattan program in the United States was Lt. General Leslie Groves). Japan’s objective in World War II was either to attack a major US port with an atomic bomb (one candidate was San Francisco) or to try and destroy the US invasion force about to be launched against Japan. Such weapons would most likely be delivered by submarine. 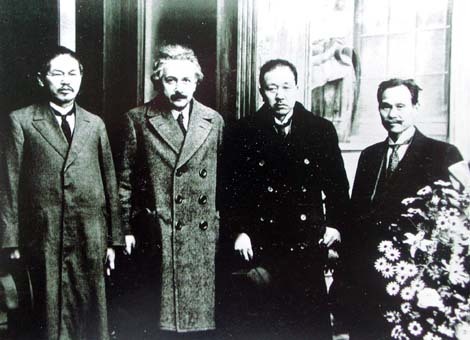 In this the Japanese strategy differed from the Germans, although there was substantial cooperation between Japan and Germany especially between 1944 and 1945. Germany shipped uranium to Japan and other supplies suitable for nuclear reactors (at the time called nuclear piles). To get ships through there was a succession of Japanese, German and Italian U-Boats. Thanks to MAGIC intercepts the US was able to target these submarines and most of them were either destroyed or surrendered. At least some of the uranium aboard one u-boat, U-234 was said to be either weapons grade or partially refined uranium with some claims that the material ended up in the Hiroshima uranium bomb four months after U-234’s surrender. David Snell, a young journalist for the Atlanta Constitution was able to interview an important Japanese prisoner on his way to repatriation in Japan. He was probably an engineer or chemist who was in the F-Go project. This prisoner alleged that Japan had exploded two test atomic weapons of small yield, one in Manchuria and the other offshore of Konan. It would appear that what inhibited the Japanese was a shortage of fissile material suitable to a gun type device. Generally speaking there are two basic forms of proven atomic weapons. The bomb dropped on Hiroshima was packed with weapons grade uranium, U-235. The mechanism to make the bomb work was fairly simple, but because of US weapons grade uranium shortages, the Hiroshima bomb was never tested before it was used. The other form is a plutonium fueled atomic bomb. The bomb tested in 1945 at Almagordo (known as “the Gadget“) and the weapon dropped on Nagasaki was a plutonium fueled weapon. Unlike an uranium bomb, the triggering mechanism to get a fission event in such a bomb is fairly elaborate and requires exquisite timing of a succession of explosive charges. By the time the Nagasaki bomb was dropped the US had three or four such weapons ready for use. There is, yet, a third way to get an atomic bomb, a method that allows the use of a gun type device and works with a combination of U-233 and a small amount of plutonium. U-233 does not exist in nature. It is produced by converting thorium (thorium oxide) into protactinium (PA-233). PA-233 has a half-life of 1.8 seconds and rapidly changes to U-233 which is fissile. U-233 combined with plutonium can be used in a gun type weapon, although there are stability and other issues at work that makes this complicated. The great advantage is that the amount of material needed in such a weapon is significantly less and the gun type weapon is advantageous because it can easily be fabricated. It is known that the Nazis were building special devices for manufacturing protactinium and had taken virtually all of France’s supply of thorium. As Paul Frame has written: “Auer Gesselshaft, a German chemical company involved in securing and processing uranium, had taken over the French company Terres-Rares during Nazi occupation. Ominously, Auer had shipped Terres-Rares’ massive supply of thorium to Germany.” There are those who have argued that Germany tested an atomic weapon based on U-233 at Ohrdruf, although this has not been conclusively proven. In the context of the time, Japan was desperate and trying to survive against a strong allied force about to overrun them. At the same time the Japanese were in a dangerous atomic race with the United States. So, too, were the Russians making every effort to lay their hands on Nazi and Japanese nuclear scientists and equipment. In the closing weeks of the war, Russian forces sprinted to Konan. Thanks to effective Russian spying inside Japan, they understood the importance of what the Japanese had, and were especially focused on thorium. Until the US took out the Konan thorium facility in 1950 at the start of the Korean war, something the Koreans and Russians worked hard to stop by blowing up bridges and reinforcing air defenses. But they failed to stop the B-29’s that crushed the thorium plant. What history tells us, at least about Japan, is that Japan had the scientific know-how, the industrial capacity, and most of the raw materials (save enough enriched uranium as a feed stock for producing plutonium) to deliver an atomic bomb to a target. It had two major deficits: it was out of submarines by the last few weeks of the war, which made delivering a weapon all but impossible since no surface ship could get through the US naval blockade; and Japan was out of critical supplies especially partially enriched uranium. The US program to intercept and destroy submarines heading for Japan with nuclear supplies worked. The last few Nazi U-boats surrendered after they were ordered to do so after Hitler met his end. The broader lesson from history, properly understood, is that states that have reason to fear for their survival will develop nuclear weapons. That is what Japan did during World War II. That is what North Korea has done facing a hostile United States. And it is quite likely that is what South Korea may be doing, although there is no proof it is so. Neither Japan nor South Korea need advice from US political candidates when it comes to an issue impacting their survival in a hostile world. But, by the same token, this also partially vindicates what Donald Trump said. The vindication is only partial because Trump’s statement bypasses some issues of great concern to the United States. Principally the United States wants to contain, not exacerbate, nuclear threats. If South Korea or Japan had nuclear weapons and was under great pressure, using such weapons could lead to an even broader conflagration of incalculable dimensions. In this sense, Trump’s proposal fails the test as a component of a sensible US strategy. But, sadly, he may correctly be anticipating the future, because America’s ability to control nuclear proliferation may be entering the twilight zone. I just want to say I am very new to weblog and seriously liked your blog. Very likely I’m want to bookmark your website . You really have terrific well written articles. With thanks for revealing your web page.